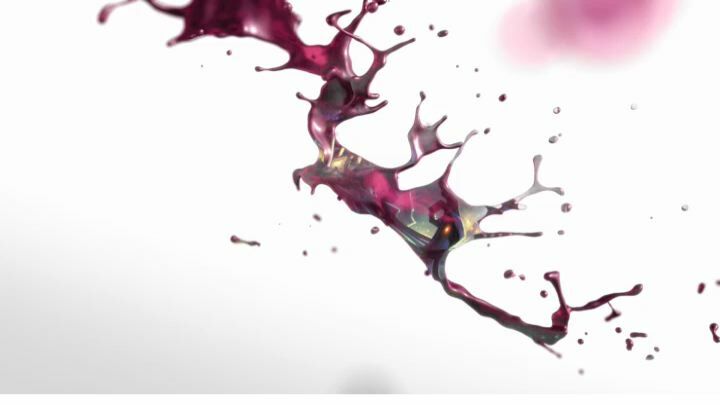 When Shilo, NYC, approached Fusion CI Studios to create some highly art-directed, abstract fluid behaviors for a Valspar paint commercial, we jumped at the chance to work with their highly creative team. The concept was a unique, beautiful and extremely challenging performance for fluid simulations, which had to blend together believably with practical paint. 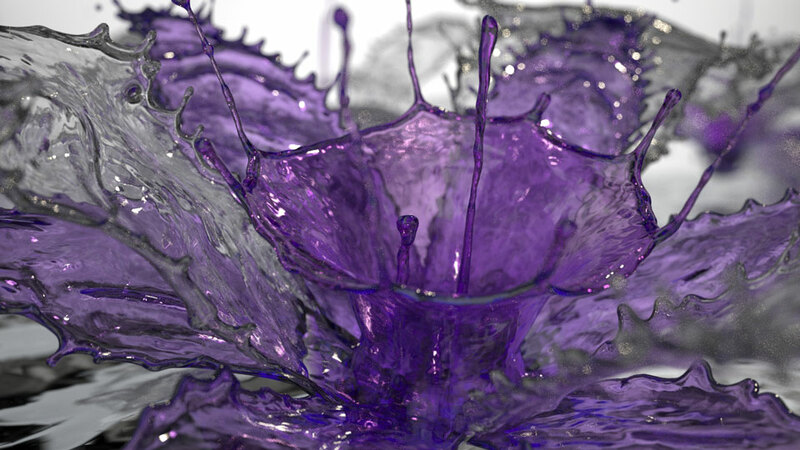 The kind of effect Shilo was looking for has not been done before in RealFlow, so it was an opportunity to once again push the bounds of the software in an endeavor that was more performance-art for cg fluids than any commercial we’ve ever worked on. In this spot, droplets of paint fall through air from a paint brush, colliding in mid-air to create splashes of paint that then morph into complex spiralling shapes, again colliding in mid-air to reform into a droplet which falls with a delicate splash into a paint can. 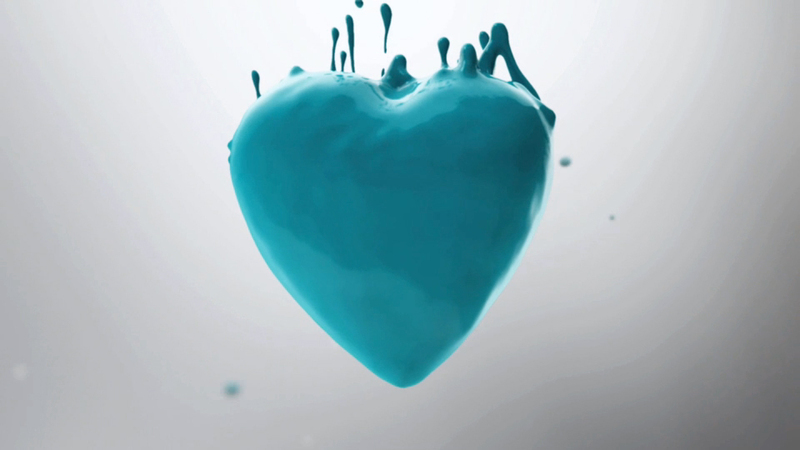 The .15 second spot required a descending paint droplet to morph into a heart shape, the icon symbol of the spot, with trailing tendrils and droplets, then re-morph into a paint droplet which then cut with a practical droplet splashing into a bucket of paint. 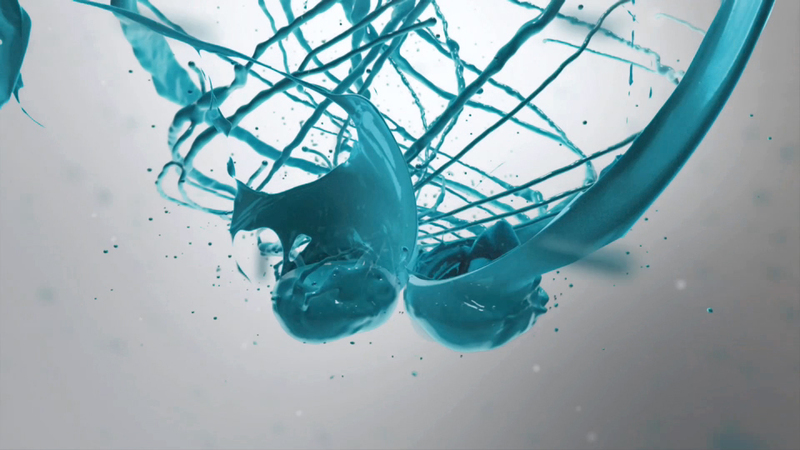 The main challenge of this effect was that the fluid simulation was forced to perform in quite unnatural ways to meet the creative, yet still had to look as “organic” and realistic as possible, as if it really was a drop of paint falling through air, colliding with other droplets in space and ultimately forming a heart with lovely tendrils and droplets trailing behind. To create this effect, the Fusion team opted to simulate the fluid motion, not actually falling through space, but sitting in place and behaving as though it was interacting with air-drag as it fell. 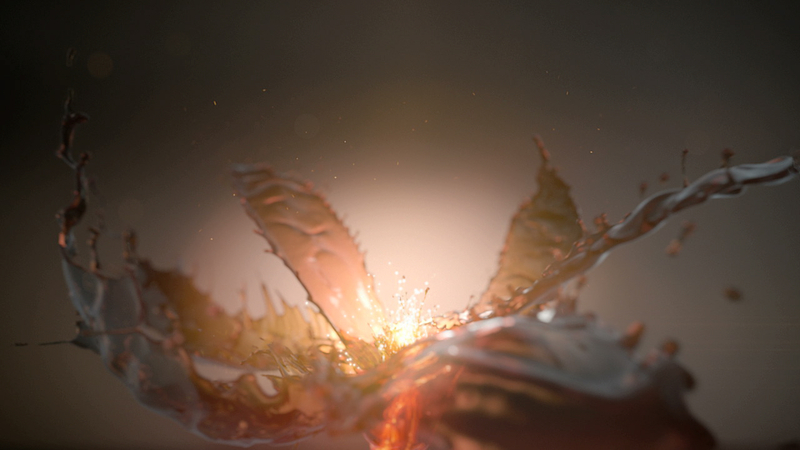 The cg team at Shilo modeled geometry of the heart and animated ripples across the surface to meet the exacting creative desired by the client. 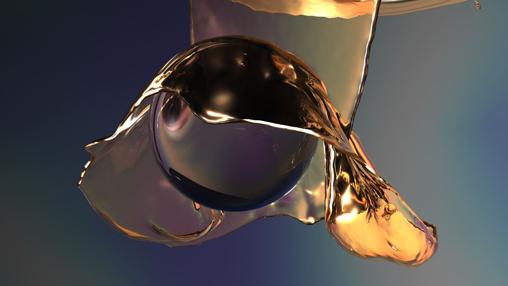 Fusion’s team then morphed fluid to this geometry applying our smorganic tools to keep the fluid smooth and unbroken and the shape changed from a rounded droplet to the expanded heart form. Fusion also developed a scripted droplet generator which created additional fluid within the morphed fluid that was permitted to “leak” out of the heart under a specific set of forces that emulated the effects of air-drag. The droplet methodology had to be controllable enough to allow the Fusion artists to paint on locations of droplets and also to control very specifically the lengths of the tendrils before the pulled apart and got pulled away vertically into space. For the .30 second spot, the creative was even more complex and beautiful. This version introduced a third challenging effect — 2 droplets would collide in space, merging upon impact, swirling outward to form a concave downward umbrella structure which would then burst apart in a controllable way. Don’t try this at home. The original intent was to shoot this practically. This is a great example of where cg can really help in these kinds of spots where control and specific art-direction is needed. If you imagine how hard it would be to shoot 2 tiny droplets of paint at each other and hit each other in an aesthetically appealing way, you see the crux of the problem. 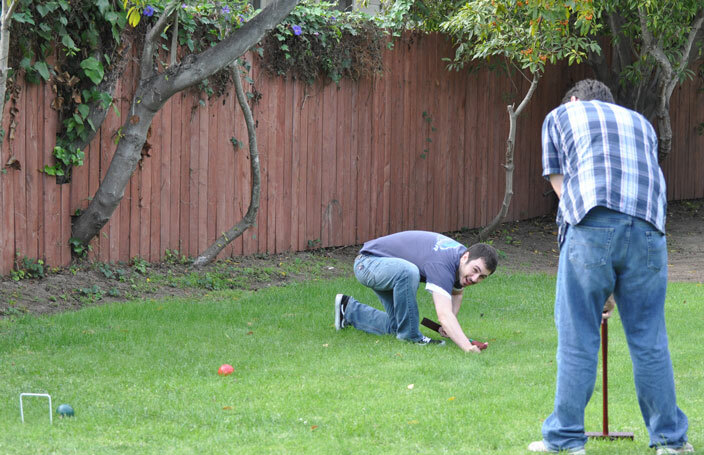 Never mind trying to get all the other exotic behaviors that happen after the collision. To create this effect, Fusion created 2 droplets of fluid and was able to do a precision launch of the droplets so they’d impact in a very precise way, just off center from each other. This meant that the initial impact could be designed to create a splash that was already flattened and oriented in the direction of a vortex force field. 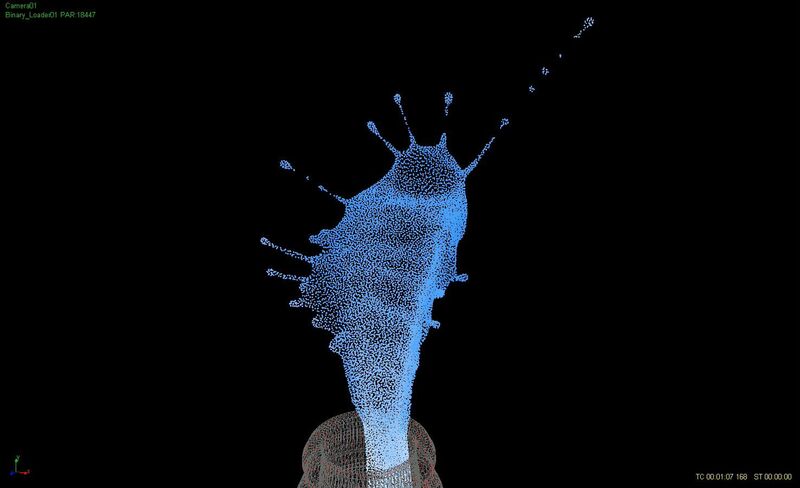 to generate tendrils and droplets. Once everything was put together, the overall effect was both very natural looking and quite spectacular. For the next shot, “droplet swirl,” the Fusion team had to create an animated, mid-air sculpture essentially. It was clear from the beginning that the only way to approach this was to abandon the native set of tools for forces in RF and build from scratch a force field that would sculpt the fluid into the shapes and the motion required by the creative. The fluid needed to form a swirling vortex that would develop a set of arms or tentacles that would stretch outward then upward, spiraling around the center the entire time. Fortunately, Fusion has its smorganic tool set which would prevent fluid from breaking up and allow us to add on droplets and tendrils coming off the margins of the tentacles, so it was really just a matter of creating a force field that would pull the fluid into a “tentacley” shape. Easy, right?! Fusion’s team set about designing a custom vortex field where we could use key framed curves as mappings to horizontal distance from the center of the vortex and vertical distance above the vortex. This gave Fusion’s artists an extreme level of control in the character of the swirl above and radially away from the center of the droplet. Next, to create the tentacles, we introduced a sub population of particles which would have a controllable variation on the vortex force-field strength. And we created a method where we could paint on the areas where these particles would be selected. So basically, where we painted on the fluid, those particles would have stronger vortex forces applied to them and they would pull away from the rest of the fluid, forming tentacles. Getting the variations in the tentacles was a matter of having painted on the particles which gave us a high level of control so that when the creative director let us know that the tentacles needed to be wider, narrow, or have more variation in size, we could implement the changes in a straightforward way. ‘tentacle swirls’ had to be right beside one another and then toward the end of the shot, collide and merge together in a highly appealing way. 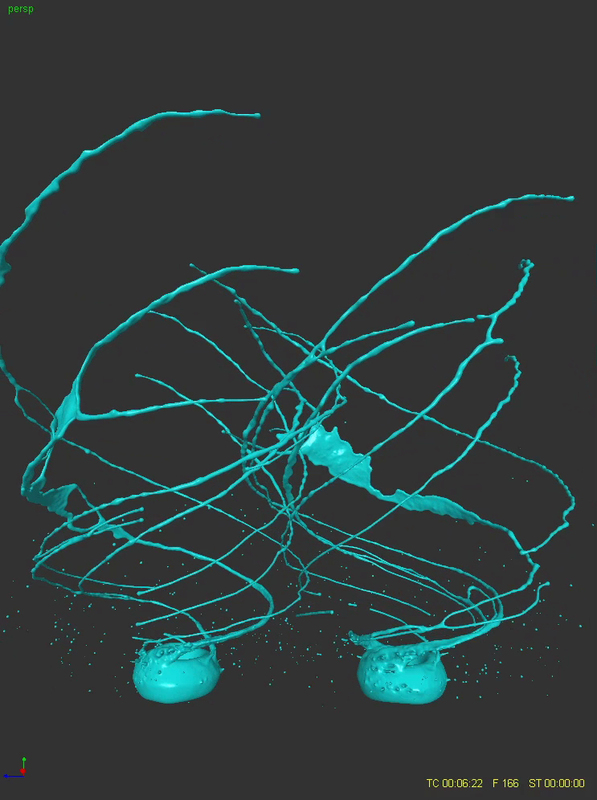 Rather than trying to have this happen by true physical interaction which would have broken up the sculptural look, the team chose to take 2 different sims of the swirls, animate the particle sets in space to come together at the same spot, and then meshed the two particles sets together to create the effect of the merging droplets. This project is a great example of technology serving art-direction. In all the shots, Fusion had to build-up and evolve tools to address the creative target. It was tempting at various points to surrender to what seemed like technical limitations, but instead our client gave us space to work and we could re-approach the problems, eventually leaping over the technical barriers — sometimes the answers were simple once figured out, sometimes much more involved. It’s also a good example of how to build your tools. Always be thinking in terms what the client is likely to want in terms of changes, and then take the extra hour or hours to build in the controls that’ll let you revise easily. That approach paves the way for relatively painless revisions and releases, rather than straight-jacketing the creative process. After doing all that, it’s of course great to have a really strong end-game team to hand off the fluid assets, who could then create beautiful lighting and compositing; editing it all together to make an eye-popping result — our hats off to the Shilo team! 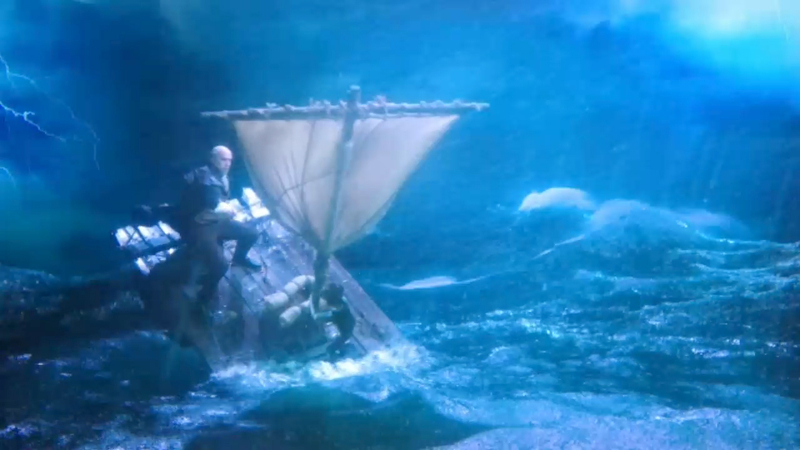 Of course the usual pre-project excitement was quickly followed by the sobering reality of actually having to execute creative director, Tim Miller’s unprecedented vision — the fluid sims had to work with Blur’s meticulously beautiful, but violently-moving character animation, so the fluids had to be tightly controlled while maintaining a natural behavior, and just about all the shots were extreme close-ups — the “ECU” being the typical nightmare scenario when it comes to cg fluids. And of course there were the usual sort of technical challenges, which really turn Fusion VFX Supervisor, Mark Stasiuk’s crank…. in a good way. 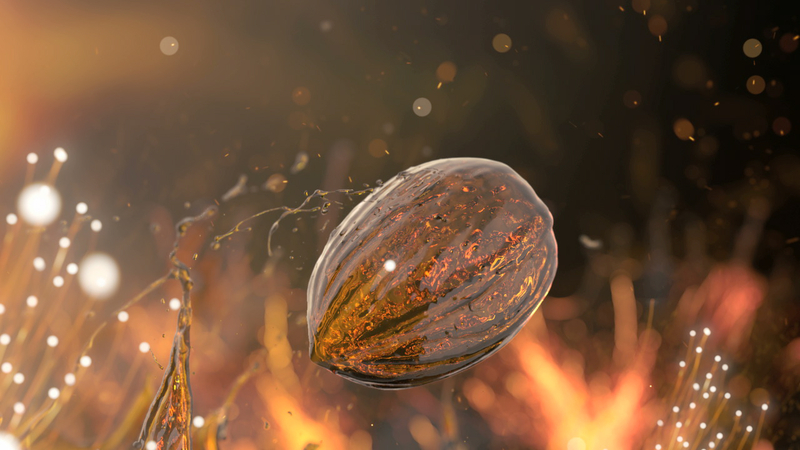 The fluid elements would be created with RealFlow, as it provides a stable, high-speed fluid solver that allows the user to integrate custom controls and outputs data in a format that is so standardized that virtually any vfx studio’s pipeline can take in without batting an eyelash. Even so, Mark would have to develop custom behavior technology to make the fluids look & behave the way Miller and Fincher envisioned. The “headrip” shots were the goriest, so definitely an effects artist favorite — check out the playblast below from one of the early versions where things got just a little… shall we say, “enthusiastic.” Getting this spectacular blast of gorgeous liquid splatter ‘out of our system’ was important so we could zero in on what would work best for the sequence. 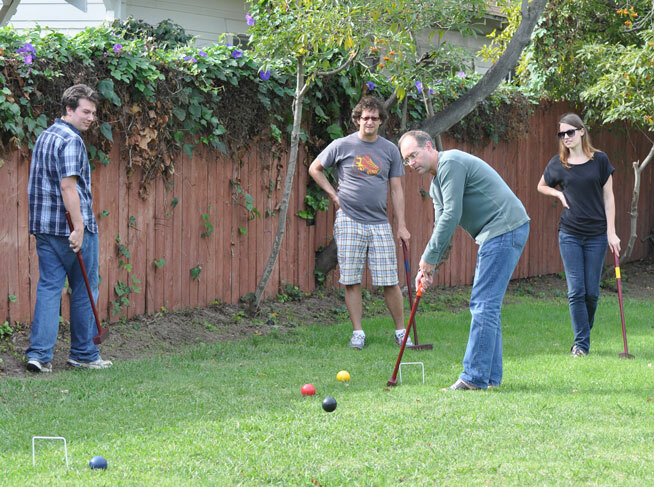 Mark’s favorites were the shots called “hothands” and dripsOnDragon”, because they involved a lot of new and interesting fluid behavior development. 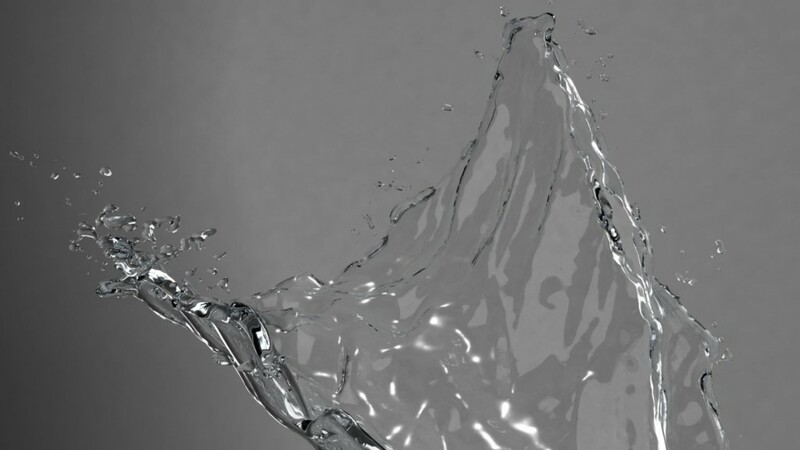 For both of these you can see how the initial inheritance of the geometry’s motion near each bit of fluid gives the overall fluid behavior a much more interesting and performance-connected feel. Add to that a subtle application of smorganic to allow droplets of fluid to elongate slightly, and you get both interesting behavior, and interesting, widely variable fluid shapes instead of just swarms of individual fluid beads. In the case of the “hothands” shots, we needed a few entirely new technologies to get the shot done the way Mark wanted it to work. In these shots a set of hands converge on Salander’s head, and then start grasping at her face. But when the hands meet her face, it’s like the fingers are hot iron and her face is wax, so the fingers sink in and her face melts and surges upward slightly, squeezing between the fingers. Fusion Creates Watery Escape Route for The Three Musketeers! While under attack, the Musketeers steal Da Vinci’s plans for a flying war machine from deep inside an underwater vault in Venice; the scene climaxes in an explosion blasting a ‘big water’ escape route! 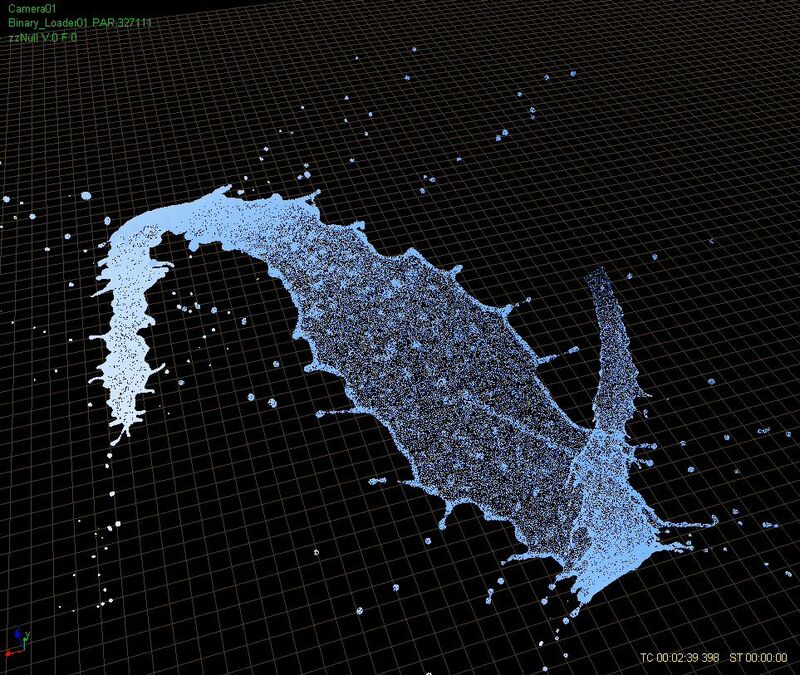 Fusion CI Studios, LA, created the fluid simulations for Mr. X, Toronto, who rendered & finished. 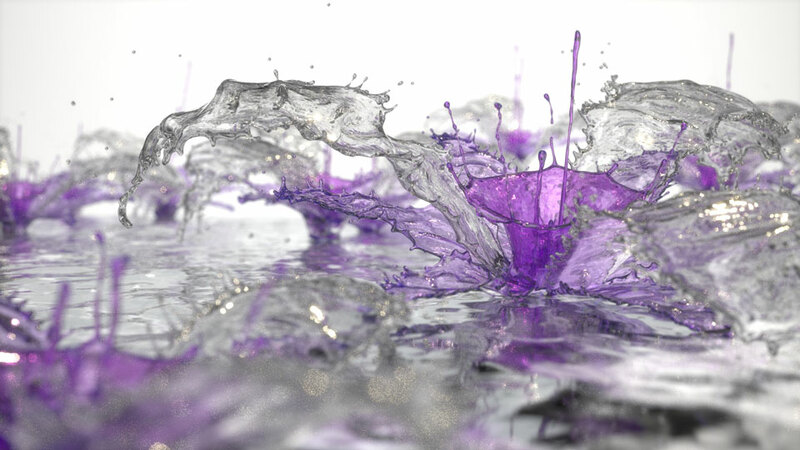 The fluid simulations were created using RealFlow and various in-house plugins developed by Fusion’s vfx supervisor, Mark Stasiuk. 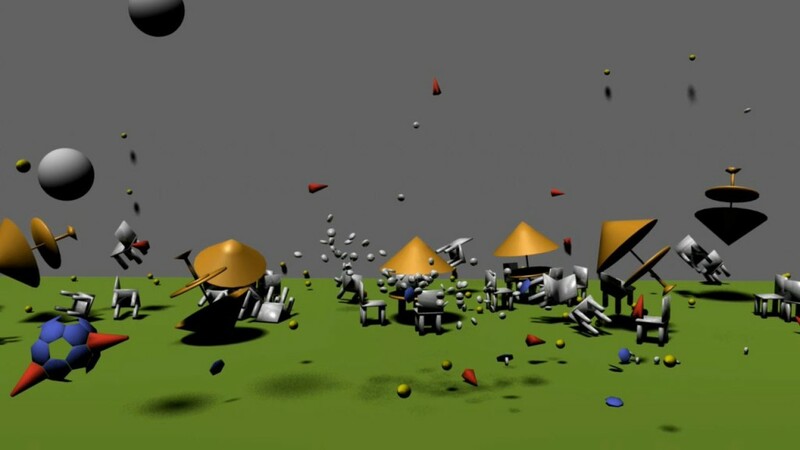 Fusion received Maya scenes from Mr. X with the solid geometry, and the geo was then simplified for export to RealFlow. In general, the fluid sim work was done by creating a number of passes – core water, splashes, foam, spray and included post-processing using custom Python algorithms. 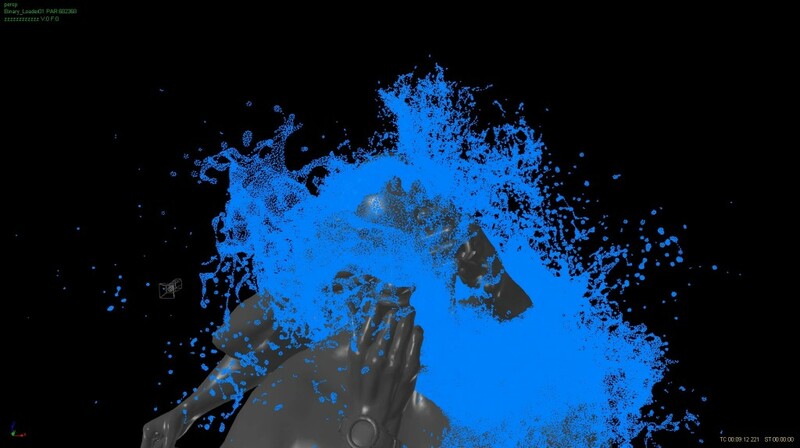 Fusion then passed the RealFlow data sets to Mr. X via ftp and did reviews of the playblasts of the simulations using cinesync. Consultation and technical support was provided on various aspects of the render – Fusion provided wetmaps and custom foam passes that would work with Mr. X’s rendering technology. 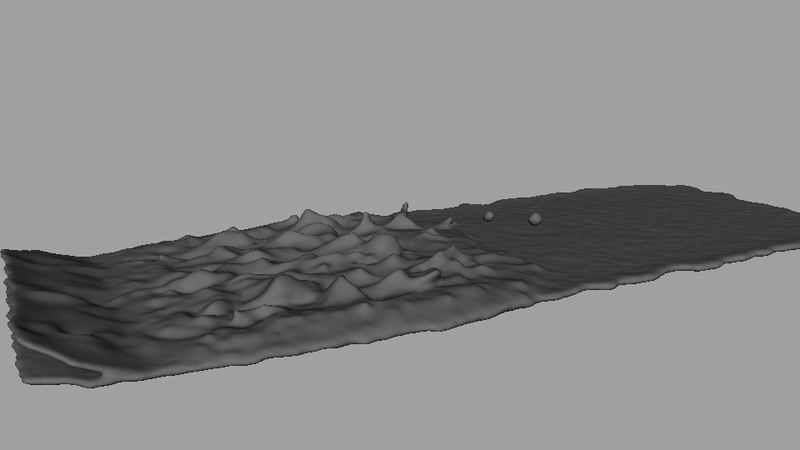 The workflow at Fusion starts with fluid behavior look-dev, using low-detail fluids for faster sim turnaround times, and run in parallel with the development of in-house technologies custom to the project. As the behavior gets close to the creative target for each shot, the fluid detail is increased and versions of the data were passed to Mr.X to start lighting development. 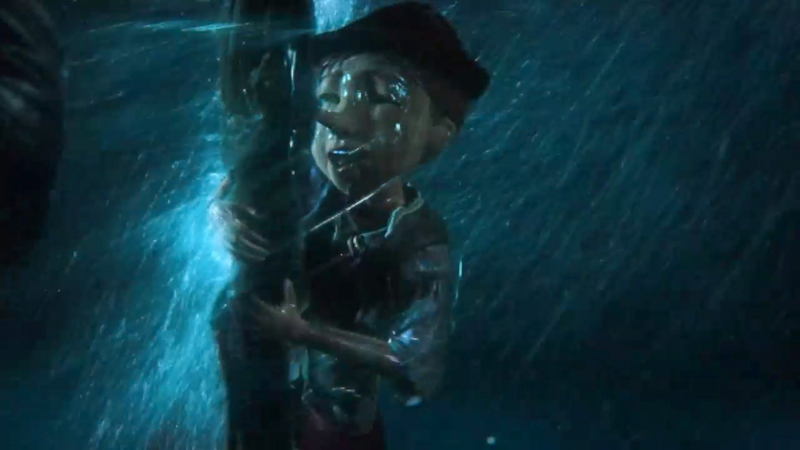 The tail end of the project was highly collaborative, with Mr. X’s lighter, Ayo Burgess, and VFX Supervisor, Dennis Berardi, providing feedback and Fusion responding with revisions and added layers of simulations. In the first shot (VV300), where the explosion is triggered in the subsurface vault wall that lets the water from the Venice canal flood in, Fusion filled canal geometry with high res SPH fluid particles. The huge volume of the final sim (around 10 million particles) was needed to achieve the right level of detail and sell the scale of the shot. This kind of shot would seem to be perfect for applying RealFlow’s voxel-based grid fluid solver, but the grid fluid has a slightly different behavior which becomes particularly evident, and particularly non-water-like, in a shot like this where the water first bursts up and out, straight toward camera, so we fell back to the SPH solver. 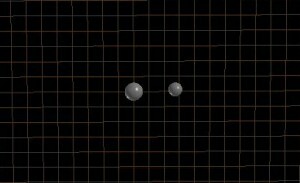 The same sims when run using the grid solver generated long, unrealistic ‘ropes’ of fluid in the explosion phase. 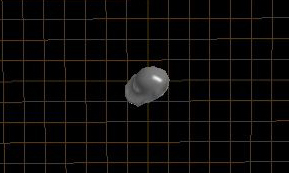 Sim times for low res fluids were a very reasonable overnight, but once at the high res level, this stretched to around a week. However, by the time Fusion was running hi res sims, the results were already approved by the director and it was just a matter of getting in the extra detail to sell the scale of the body of water. The initial explosion was created using a combination of expanding spherical negative attractor fields, noise fields and a vertically directed jet force, followed by a vortex to pull and spin the fluid downward. 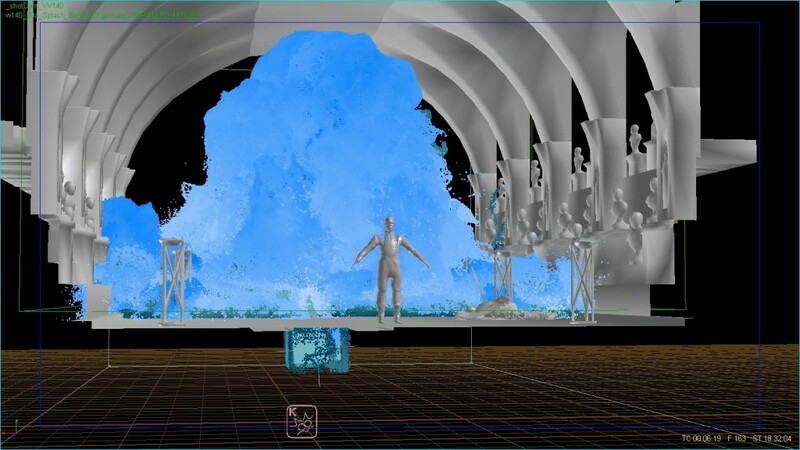 For the initial shot Fusion generated a number of passes of foam and spray as post-process sims, as well as running a post-process to create wet-maps on the geometry to allow Mr.X to add wetness wherever the water splashed on the buildings. For these post-process tasks Fusion used its in-house tools, giving us the ability for extreme control on the results. For example, for the foam pass, water particles were converted to foam particles based on a combination of exceeding a threshold speed, impacting geometry and height in the water column, and converted back to water after particle speed dropped below a critical threshold for a long enough period. 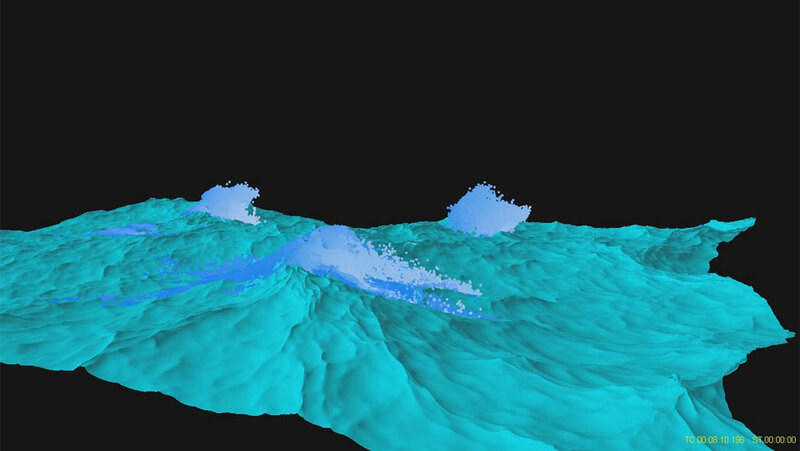 This movie shows both the water and foam particle sets for a near-final version of the simulation. 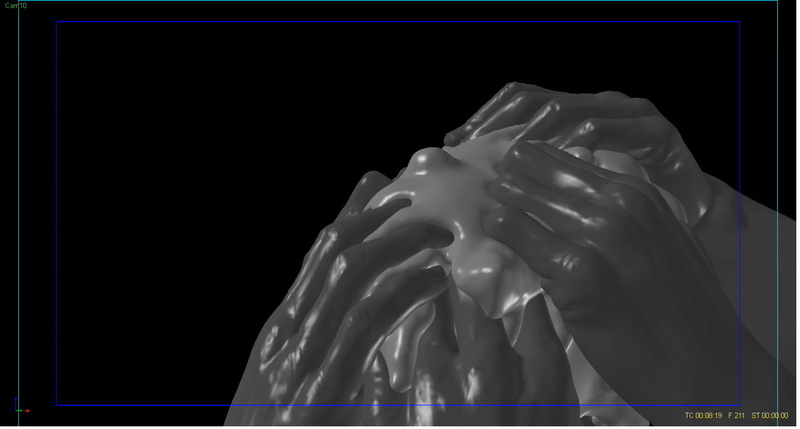 The capability of RealFlow to use Python scripts at many points of its calculation pipeline is a feature of fundamental importance to this kind of fx work. 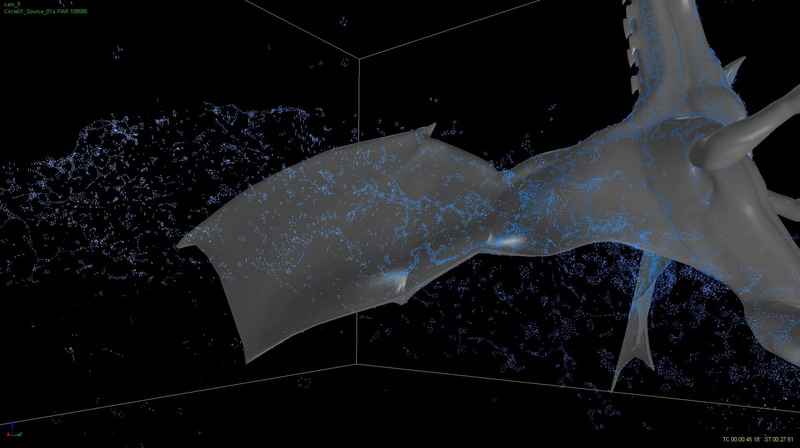 In the next 2 shots, where the water first geysers into the vault (VV140) and then floods it entirely while wiping out the bad guy (Cagliastro), Fusion used RealFlow’s grid solver to generate the core fluid behavior. 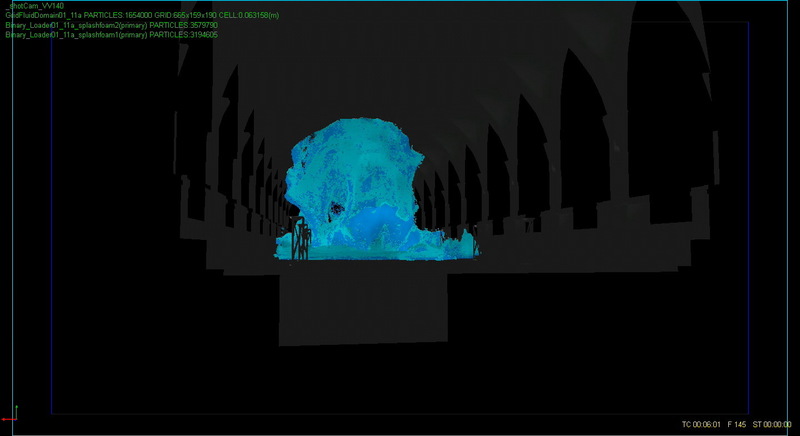 Once the core fluid was simmed with the right behavior and timing, the team at Mr. X tweaked the animations of objects in the scene that needed to respond to the water, such as the corpses of the guards on the floor and the torch stands at the sides of the vault, as well as the digital double of Cagliastro after the point of impact. 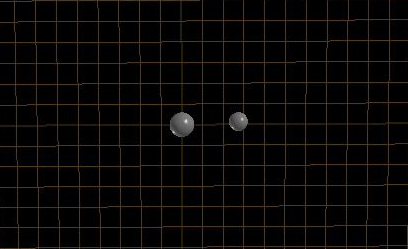 The tweaked animation was passed back to Fusion for a final run of the core water so it would respond correctly to the solid geometry. Once the core water was finaled, Fusion used the native foam and splash emitters to emit SPH particles from the grid fluid as post-process sims. 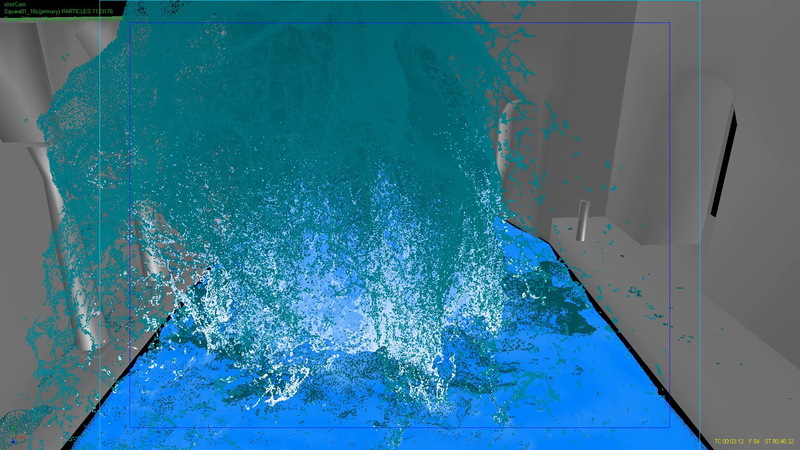 RealFlow’s splash and foam tools work very well for this purpose, and have the advantage of giving you the ability to control the areas from which the splashes and foam are generated so artists could break the sims up, covering different sections of the flood if necessary. In the case of vv140, where the geyser first appears, it is small enough that it wasn’t necessary to break up the foam and splash generation but the controls on the secondary emitters also give great ability to distribute the secondary fluids where you want them. This movie showing a well-advanced version of the vv140 core water (although the geyser shoots too high, too early), you can see the natural distribution of foam particles that are triggered by threshold radius of curvature in the core water surface. The foam and splash fluids were set at very high detail level (fluid resolution), and it was really these particles that gave the flow it’s high detail look because grid fluid in general suffers from a lack of detail, even when the voxel size is very small. However with the splash and foam emitters, just about any level of detail was possible to achieve, and these dramatically improved the dynamism of the sims. This movie shows SPH splash fluid particles over the entire surface of grid fluid core water sim. The SPH particles from the splash emitters were then themselves used as emitters to create huge masses of spray, where Fusion again went to its in-house tools because of their level of control. 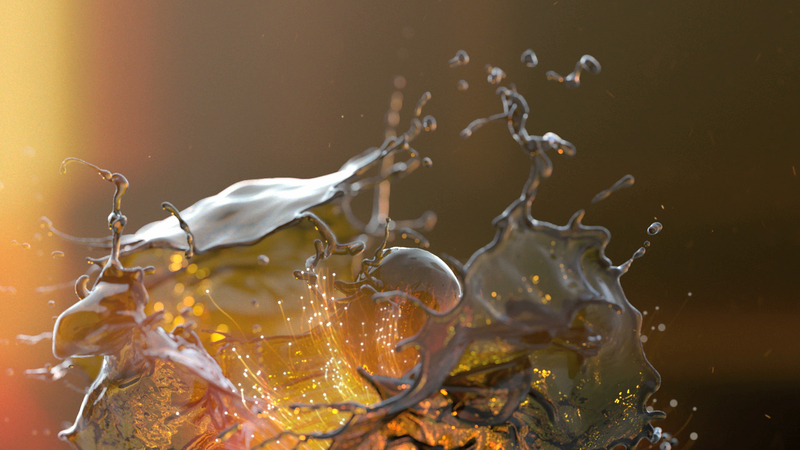 The biggest challenge for the fluids work was the combination of art-directed fluid behaviors and the large scale of the fluid effects. 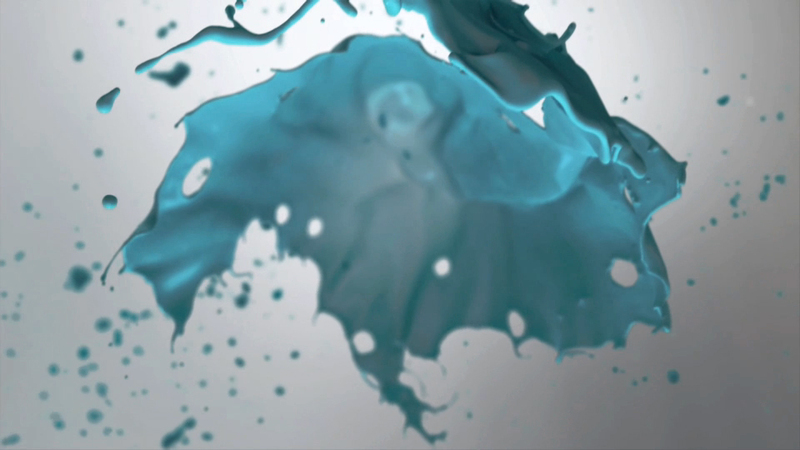 Fusion’s team is accustomed to dealing with art-directed fluids, but typically these are small scale, for example single splashes forming into art-directed shapes. 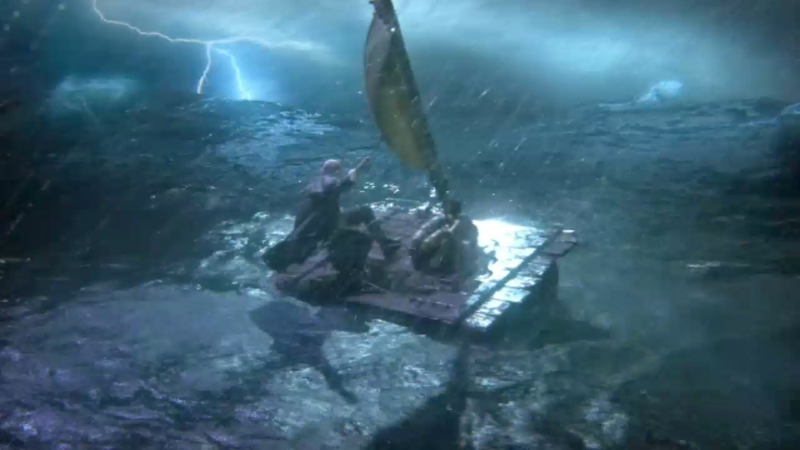 They’re also used to dealing with large scale water, but in those cases the creative goal is usually simply making the water behave as it naturally does and not specifically directing its behavior. In TTM we had to create specific fluid behaviors that were also timed precisely to the action of the shots. i.e. 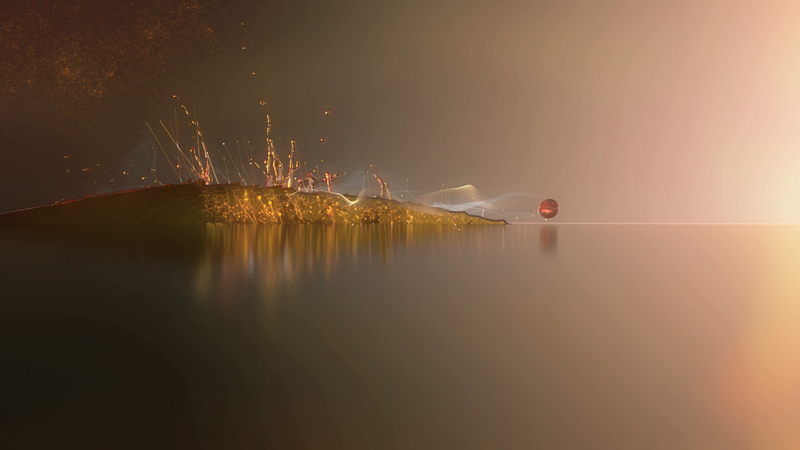 for the initial explosion shot, Fusion created a carefully timed & shaped water explosion which then evolved into a downward sucking vortex, and that had to be done with a sim that became 10 million particles. 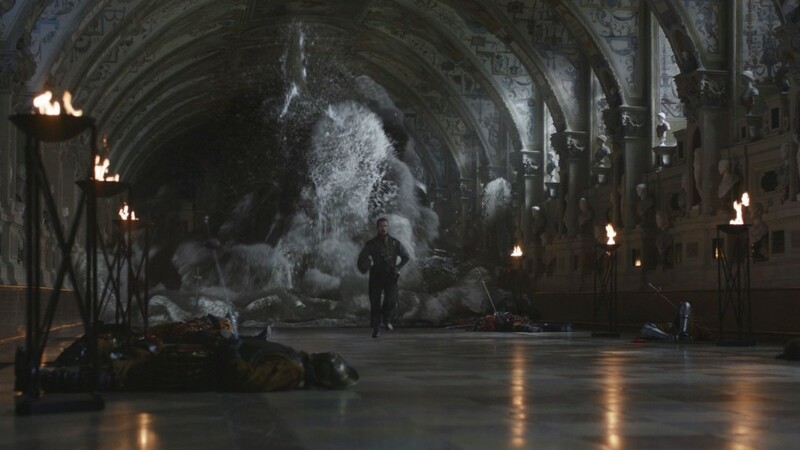 Similarly in the shot where Cagliastro is swept off his feet by the flood, the fountain of water had to behave in a specific way, filling the space but remaining behind the character, then striking the character at the exact time in the plate where the real actor jumps into the air. 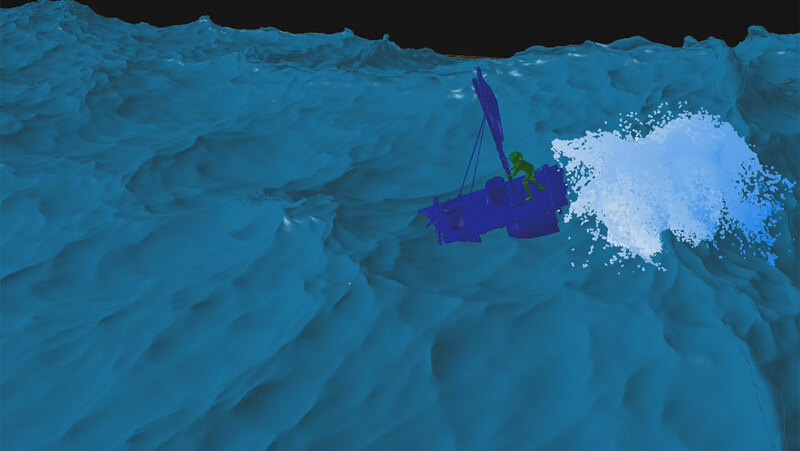 This was made more challenging by the fact this was a stereo project, so it wasn’t an option to do the usual cheats, like translating the water sim back behind him further in order to delay the impact. 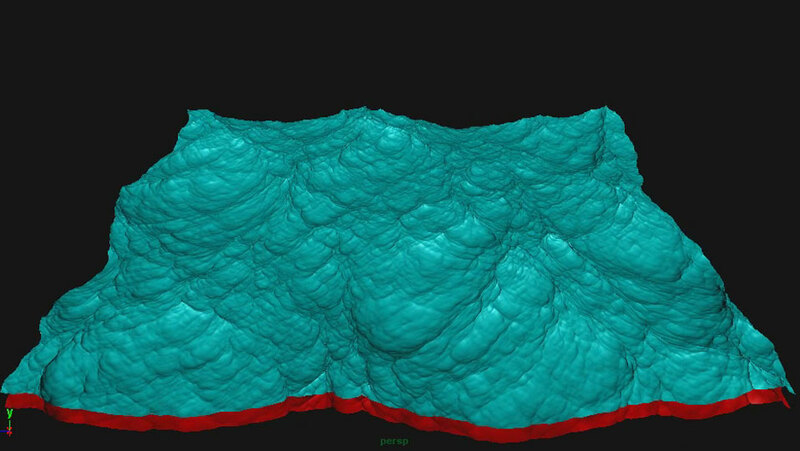 In this project, the 3D space had to be precisely accurate. To make all these things happen, Fusion relied heavily on its library of in-house technologies which provide the sort of control that’s required for art directed fluid behaviors. In the vault flood shots, this involved script-controlled rigs of laterally-directed gravity fields to gently nudge the various parts of the sim back away from camera and the Cagliastro character (who starts off standing very close to the large geyser), done in such a way to not look like the water was hitting an invisible barrier. 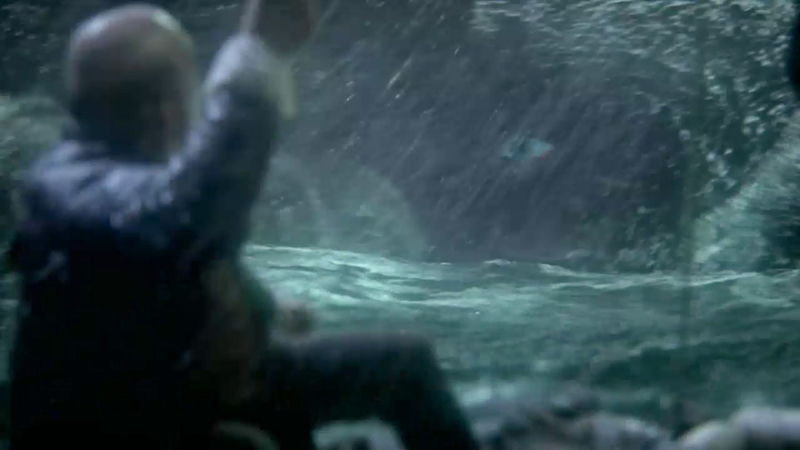 The above movie shows the core water sim. When viewed from the side it’s obvious that the flow is being held back until the appointed moment, at which point the forces reverse and the geyser and water on the floor are surged forward toward camera to flood the vault and hit Cagliastro. If you look closely at the side view movie you’ll also see evidence of another Fusion in-house tool, for generating turbulence. 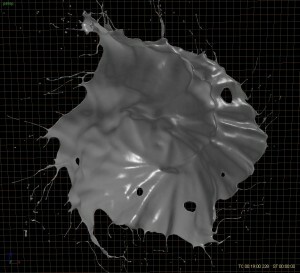 In general, whether you’re using RealFlow or not, SPH-based fluids as well as voxel-based grid fluids both suffer from a lack of true turbulent behavior, which is normally excluded from the solver for optimization purposes and because the fluids that are typically simulated are at the more viscous end of the spectrum and less likely to show obvious turbulence — say compared to violently moving gases such as fire and smoke, for example. The problem is that fast moving river-type flows should show turbulent flow motions or they just won’t look right, and end up moving in a boring, sludgy way like a plug of fluid sliding over a surface. The usual methods to combat this are to churn up the flow with a noise field or add in lots of obstacles to add more splashy interest to the motion, but still this doesn’t make for a realistic motion. In VV150 the flow on the vault floor, despite hitting all the bodies and torch stands, was still too much like a sliding mass, especially obvious when it approached the camera toward shot end. 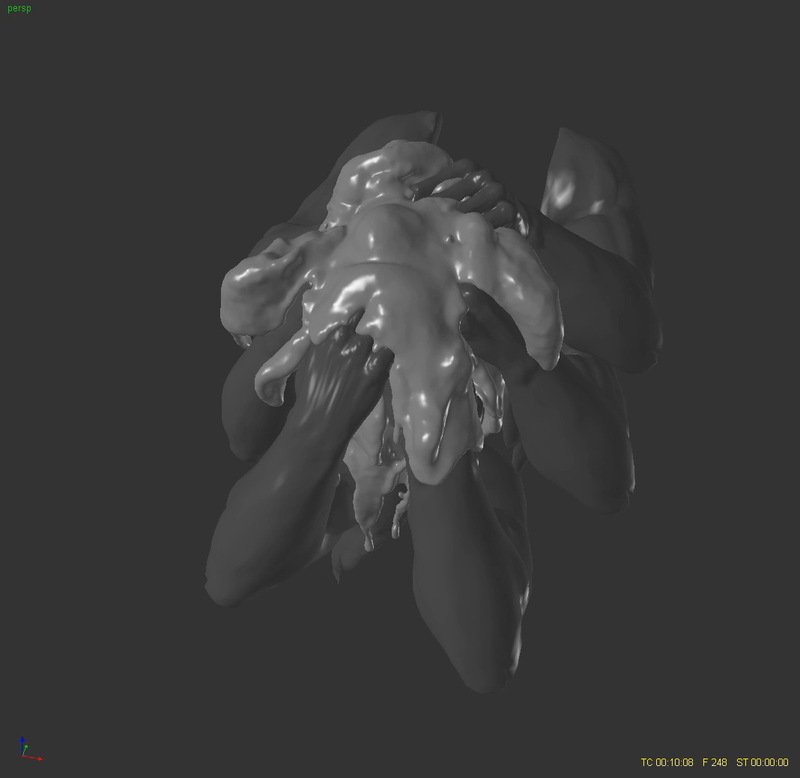 To get a more turbulent look, we add in a swarm of vortices that are connected to averaged flow-lines of the fluid, and apply scripted tools to control the animation of the swarm’s parameters. 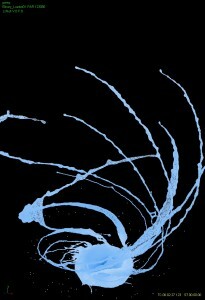 You can see in the side view movie how the flow along the floor churns rapidly as it is disturbed by the vortex swarm. The advantage of this method is that we can “inject” as much turbulence as the Director feels look good, rather than being stuck with whatever the fluid solver does. 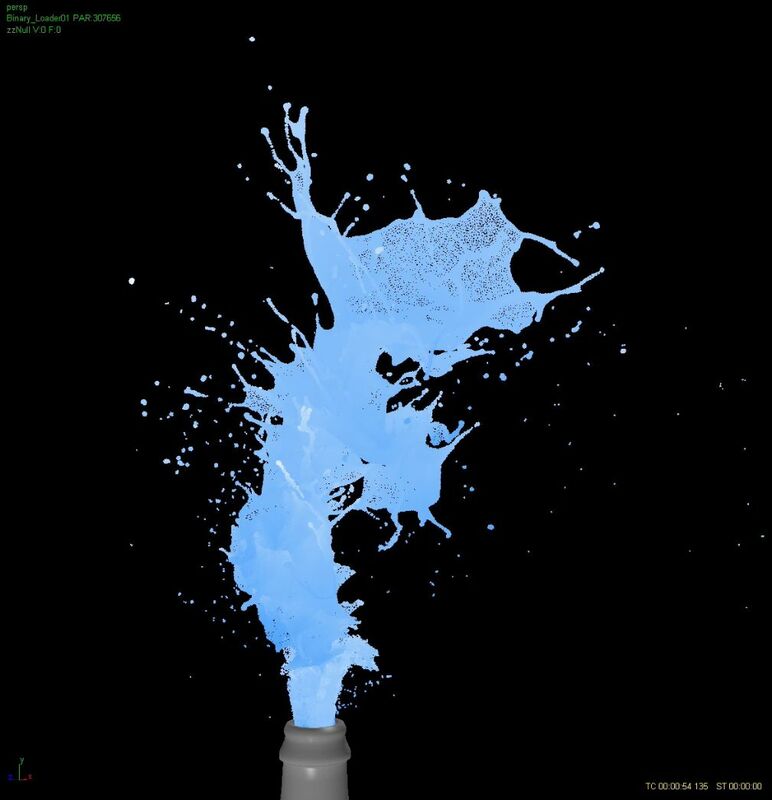 One last word on the fluid sim work from a studio productivity perspective, relates to the comparative ease of use of RealFlow. Over the last couple of years, numerous new simulation tools have appeared, and we’ve been experimenting with them. 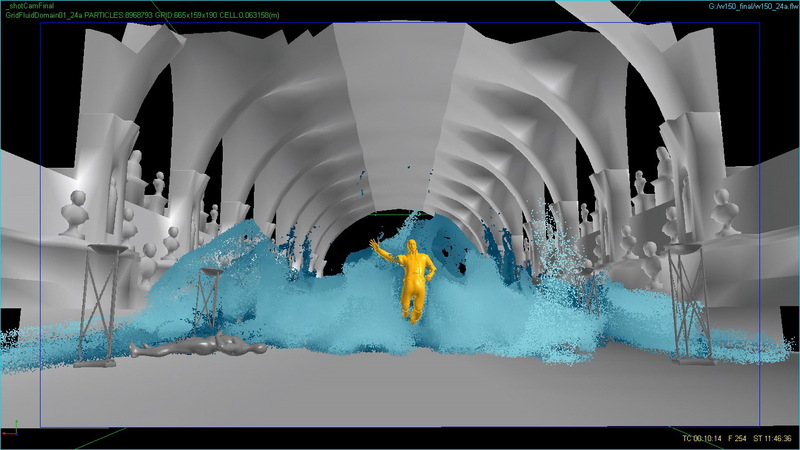 But in our view one of RealFlow’s major advantages is the simplicity of its scene structure and controls, despite the advanced dynamics happening under the hood. 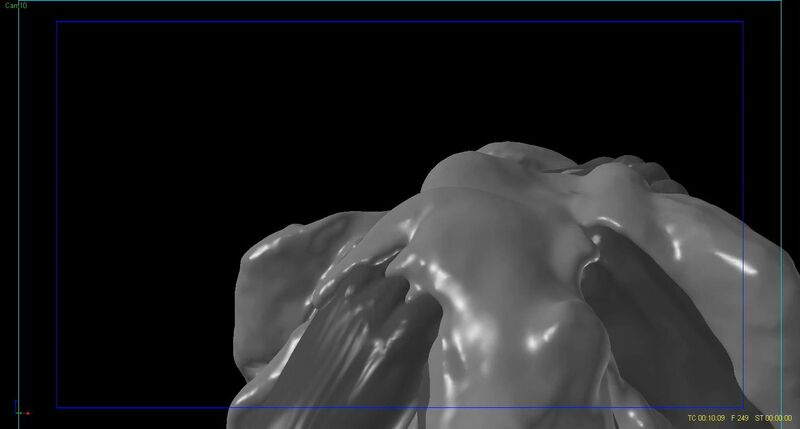 Compared to most sim packages with endlessly nested dialogs and huge lists of blurrily defined parameters, RealFlow’s straightforward and flexible scene setup, and well-defined parameters is refreshing and makes it a place where fx artists can work productively, with low levels of frustration — and that’s very important in an environment where schedules are always shorter than we’d like. 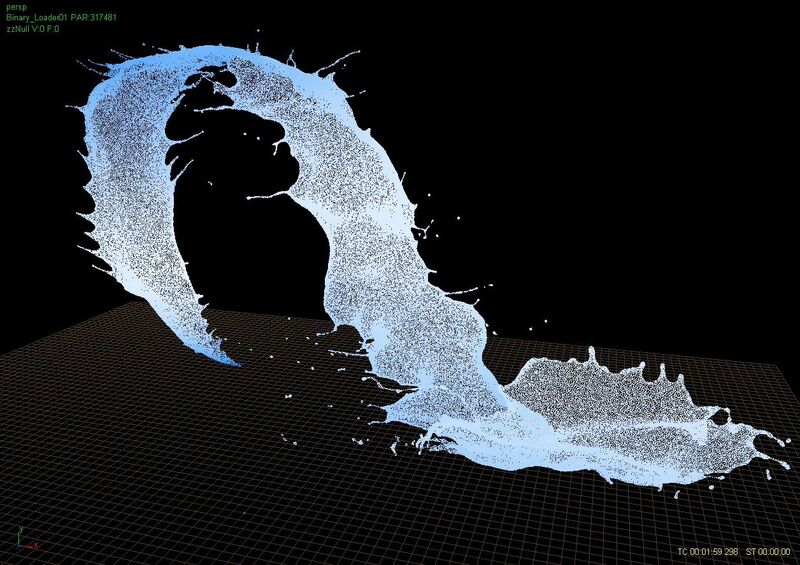 Anybody developing physical sim software should really have a close look at RealFlow to get some ideas on how it should be done! Fin Design Shares a Coke with Fusion CI Studios! Fusion CI Studios Shares a Coke with Fin Design! 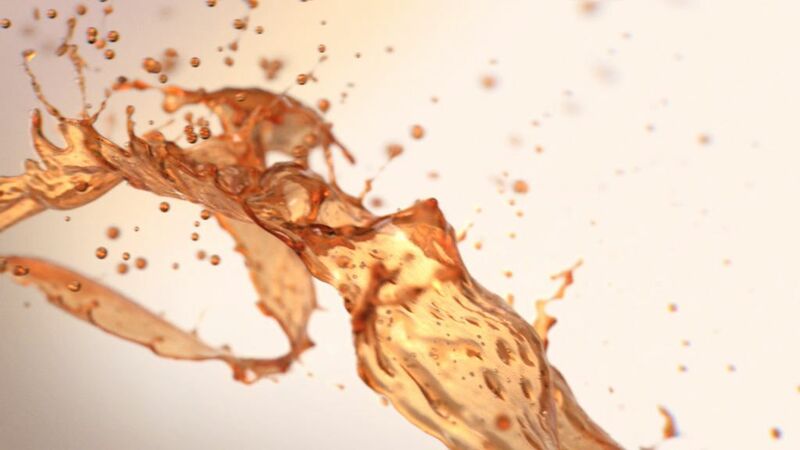 Coke bursting from a bottle, launching through the air in an elegant, dynamic, sculptured cg splash — super slow-motion and close-up! This looks like a job for….. dynamic effects specialists, Fusion CI Studios! 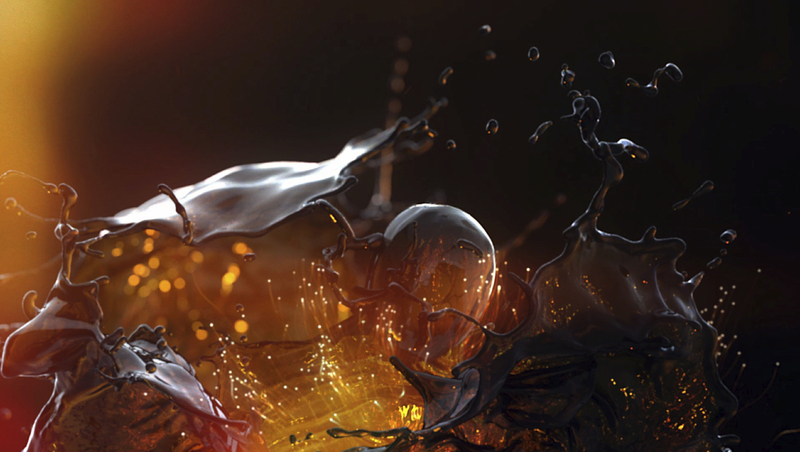 When Fin Design + Effects, Sydney, Australia, (http://www.findesign.com.au ) was tasked to create this kind of effect for an end tag for the Coca Cola “Share a Coke” campaign, they turned to Fusion to create the cg fluid simulations because of our experience with macro-photography style CG fluids. Fusion has developed an extensive library of technologies and methods for these kinds of effects. Our clients come to us for challenging fluids work, so each project has unique, demanding requirements that pushes the bounds of existing technology and propels us to develop ever more advanced tools to meet creative expectations — the resulting extensive library allows us a good ‘leg-up’ on new project work. Consequently, Fusion provides its clients with outstanding effects for about the same amount it would cost them to hire an experienced effects artist, while creating a far superior product. The campaign invited people to send photos of themselves to be featured on TV- the photos would be grouped according to first names. Fin’s task was to find a design solution to showcase the photos that wouldn’t alienate the core concept and that would keep the pictures “Hero.” Fin imagined all the places one would normally see pictures of friends & family – on our phones, in a picture frame, on social networking sites, in a snow-dome, in a locket, etc – and created a series of shot options for the campaign’s TVC’s. But when Ogilvy asked Fin to also create the new Coke endtag – “a celebration of the pop & burst Coke moment as the lid comes off the bottle,” Fin turned to Fusion to generate the fluid simulations. Coca Cola is one the world’s most well-developed and iconic brands — everyone from a villager in a remote area of a developing country to Donald Trump knows exactly what coke looks like, so when it’s moving super slow with the camera super close-up, the cg fluids must be stellar. And of course they have to look like something you’d be excited about drinking — this is no small task with CG fluids, which are very challenging to create realistically and far harder to make look tasty. 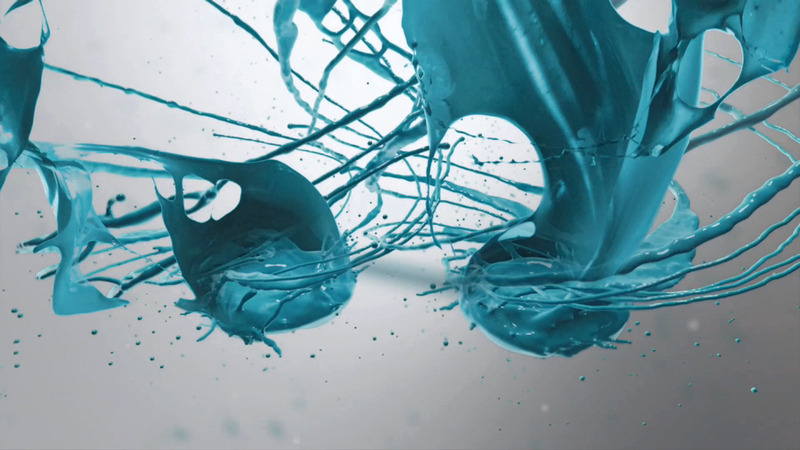 Fusion was asked to create 2 kinds of mid-air cg fluid splashes for Fin: a splash bursting from the Coke bottle (which had to be sculptural and beautiful while also feeling explosive, pushing toward a chaotic feel), plus a variety of curving splashes that Fin’s team could compose in 3D space in the comp to create a dynamic “Coca Cola space”. So it was up to Fusion to experiment with digital “throws” of fluid and work up a palette of shapes from which Fin’s creative director could give further direction, and then select elements to build the 3D composition. 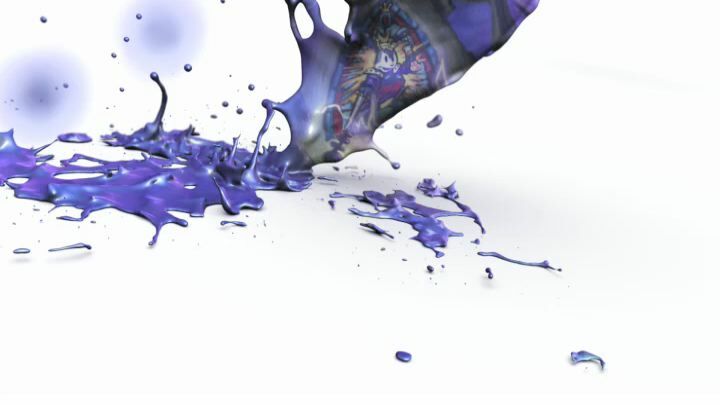 Paint splashes, Epic Mickey promo: http://www.fusioncis.com/projects/special-projects/epic-mickey . 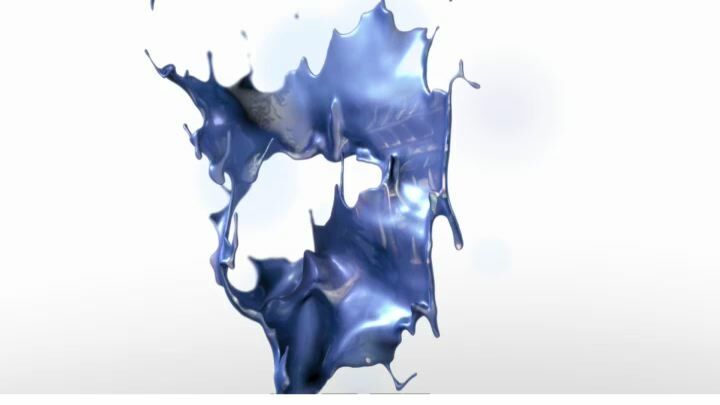 Fusion’s basic splash technology makes use of our “smorganic” tool, developed in-house to prevent CG fluid from breaking up into ugly swiss cheese-like holes that is typical of CG fluids: http://www.fusioncis.com/pr_smorganic.html . If you’re a RealFlow user you can think of Fusion’s smorganic as RF’s sheeter daemon on steroids. In addition, our splash tool finds flow edges and from these creates the little droplets and tendrils that are so characteristic of small-scale splashes. For the bursting splash, the shape was going to be so chaotic that our tool would create those features everywhere and turn it into a truly crazy shape, so we had to develop artist-friendly ways of controlling where the tendrils came off. We found a simple solution by just having artists paint over the particle cloud, highlighting those zones that would allow the creation of tendrils. Once this was done, it was a matter of creating interesting splash shapes using an array of tiny deflector planes just inside the mouth of the bottle and then running a matrix of tests to see what shapes were generated. The arc-shaped splashes had a shape more like what we were used to creating, so our tendril tool worked as-is for those, allowing us to auto-select the flow edges and set the number and spacing of the tendrils. The challenge with these was to get controlled, curved shapes. For these we developed a new version of a path-follow tool to guide the flows in a natural way along a path in space. Again, RF users could view this as the Dspline tool on drugs. Fusion supplied Fin’s team with a library of about 15 of these kinds of fluid simulations delivered as mesh sequences, from which they picked out their favorite moments, added tiny particle-type bubbles to the fluid interiors, and built up the set of vignettes to create the final spot. 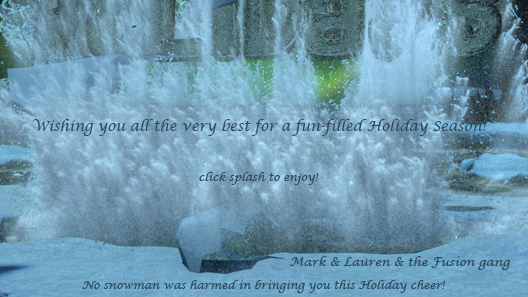 We created an electronic Holiday Greeting card as a little internal project here at Fusion. 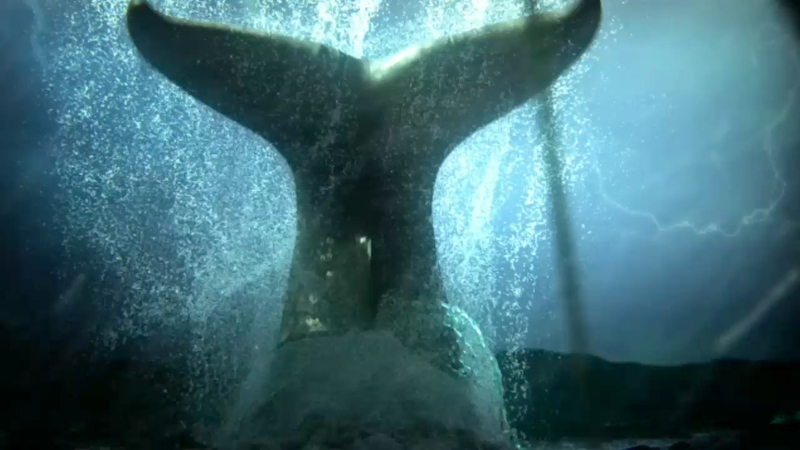 Certain aspects of it were inspired by a recent SeaWorld spot we did in collaboration with Vitamin Pictures in Chicago. For that project, we created water branches that Vitamin then comped into a tree form. We thought the idea of a dynamic, fluidy Christmas tree for the holidays fit us perfectly, since we specialize in CG fluids, so we extended and adapted the technology we developed for the SeaWorld project and built a little scene around it. The blanket beneath the tree was created as a Maya nCloth simulation, the furry edge was done using Maya fur. 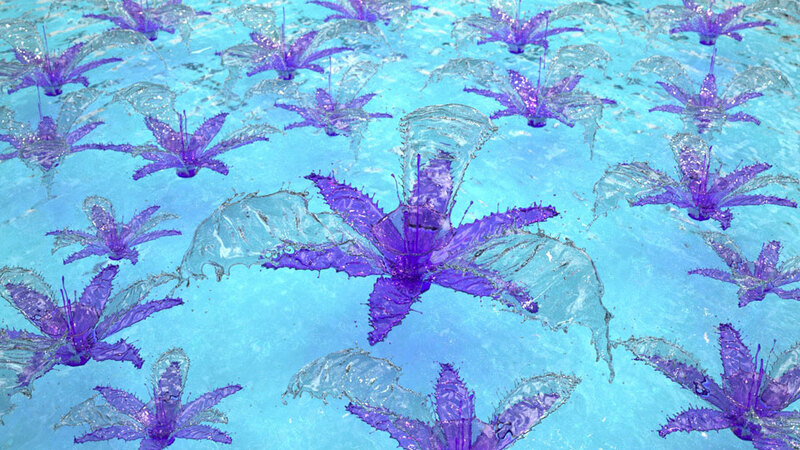 The water branches were each done as 400 frame fluid simulations, using our newest technology for making fluids follow paths. 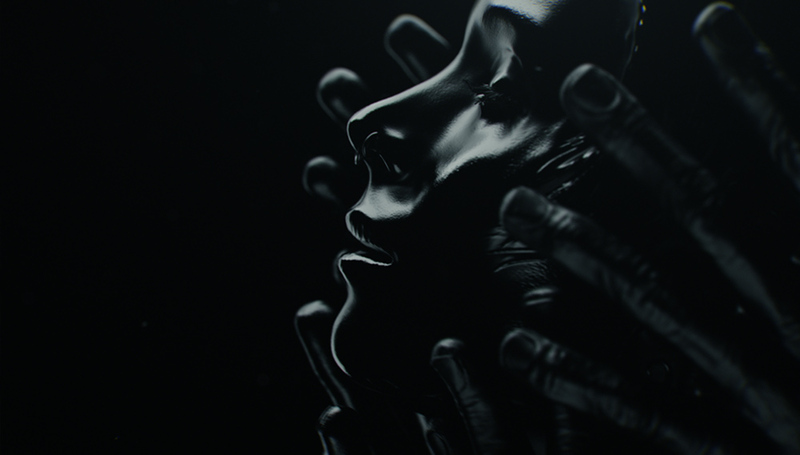 This allows us to make fluid take contorted, art-directed paths while still maintaining a very natural flowing look. The tools typically available for this kind of thing end up making the fluid look like a worm wiggling thru mid-air, which of course looks anything but natural when you’re talking fluids. 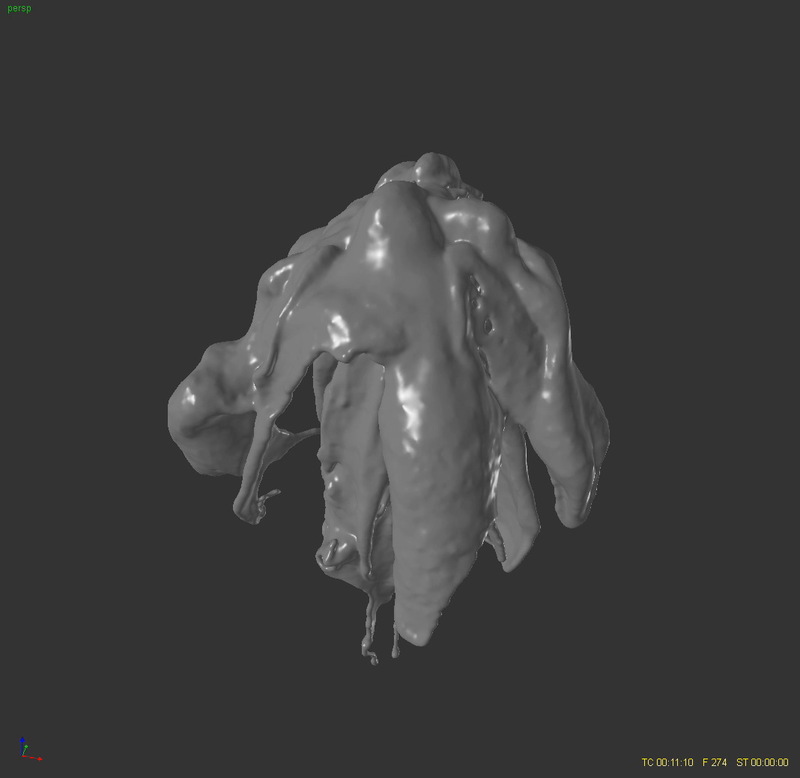 So we developed a custom tool that allows complete control on falloffs along the path and with distance from it, variations in strengths along the path, and also allows the release of fractions of the fluid to create splashy edges. And of course the tool has integrated into it our “smorganic” tool ( http://www.fusioncis.com/pr_smorganic.html ), which prevents breakup of the fluid into ugly cheesey / webbed shapes. The tree was then built from about 30 unique fluid branches, each placed carefully in 3D space to get a nice tree shape while maintaining an organic look. This year, our tree decorating was virtual! Working on the project at Fusion were: Mark Stasiuk, Matt Benson, Lauren Millar and Liz Catullo. Epic Mickey Launched Today for Nintendo Wii! 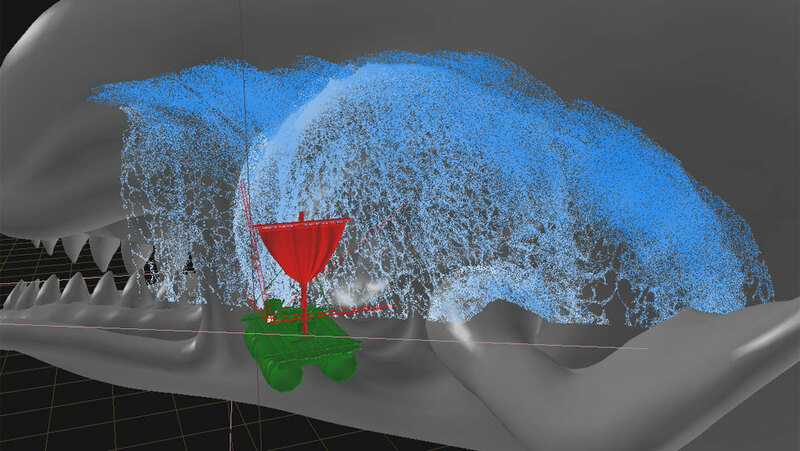 In honor of Epic Mickey’s launch today on Nintendo Wii, we’re celebrating our epic journey in creating the fluid simulations for Mickey’s initial debut at E3 2010, here’s a bit of insight into the project…. For the awe-inspiring teaser that launched the eagerly anticipated Epic Mickey game at E3 2010, the Ant Farm and Disney Animation Studios relied on the boundless creativity and expertise of Zoic Studios. As Mickey, the gamer is propelled into an alternate world, “Wasteland” – a dark & brooding place where Disney’s misfit characters have been abandoned. Wielding paint and paint thinner, Mickey dynamically changes this world while forging his path to becoming an epic hero. So the teaser for such a fantastical journey would have to heighten a sense of intrigue and anticipation in the gaming audience – a daunting task. When you throw real paint into the air, it performs magically. It stretches and twists into graceful forms, pulling effortlessly into impossibly thin sheets. Thickened edges then form at the margins of the sheets and off those edges, thin, delicate tendrils stretch lazily into the distance, pulling apart into lovely strings of tiny droplets… ZZZZZZZZZPPP! In the CG world, if you throw fluid into space it does none of these things. Instead, it immediately rips apart into unsightly ‘webbing’ that pretty quickly shatters into a cloud of droplets. No sheet, no lip, no tendrils. Now what? Zoic turned to us to create realistic, elegant cg paint throws that could be sculpted and art-directed as they soared through space. We often hook up with other vfx studios when challenging fluids work is needed. It was a perfect blend of creativity, technical know-how, artistry and team work. 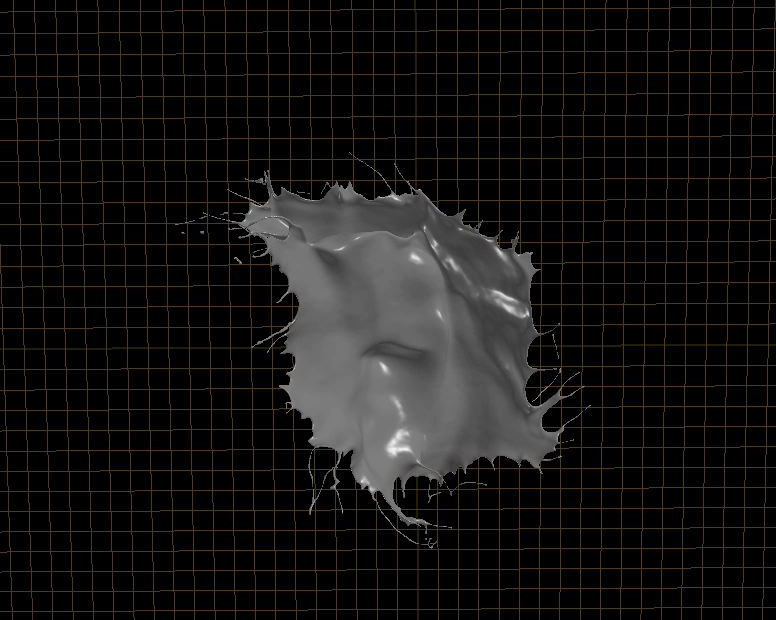 We were able to make the cg paint form 1-particle-thin sheets using our “smorganic” plugin for RealFlow. “Smorganic” fills in the gaps in the fluid during the simulation process and maintains the flow at 1-particle thick. (http://lavalamp.fusioncis.com/2010/11/fantasmic-smorganic ). We used another technology we developed to detect the flow edge and push in sections to form the thickened lip, and yet another technology to pull small bits of the flow edge out into tendrils and eventually break them apart into droplets. With this set of tools, we’re able to keep mid-air flows impossibly thin for indefinite periods of time, make flow edges as thick as desired, and add in as many tendrils of whatever length and lifetime as needed. 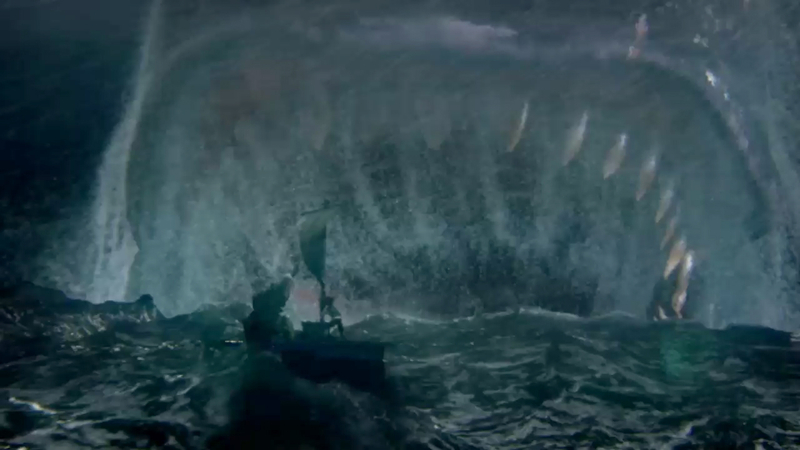 Working closely and interactively with Zoic, we experimented in virtual space with hundreds of extremely high resolution, slow motion CG splashes to find just the right forms and motions to tell Mickey’s story – a story that unfolded against the backdrop of some of our most advanced cg fluids work to date. Zoic also needed to include speed ramps in order to get our “moments of suspension.” That meant that each splash had to be simmed out to 600-800 frames of animation and delivered to Zoic as high res meshes (resulting in more than 4 Tb of data). The length and speed of the sims made it all the more important that our tools were working extremely efficiently, we had to create an abundance of fluid elements to give the creative director, Derich Witliff, a lot to choose from as he built the spot. Each element ran for hundreds of frames and had to look good the whole time, and to be completely stable. Although the flows would be sped up to move quickly at times, for long periods they had to move achingly slowly, close to camera, across the frame — there’s no hiding behind motion blur or fast camera moves in a spot like this. Your CG fluids have to be perfect. You decide. 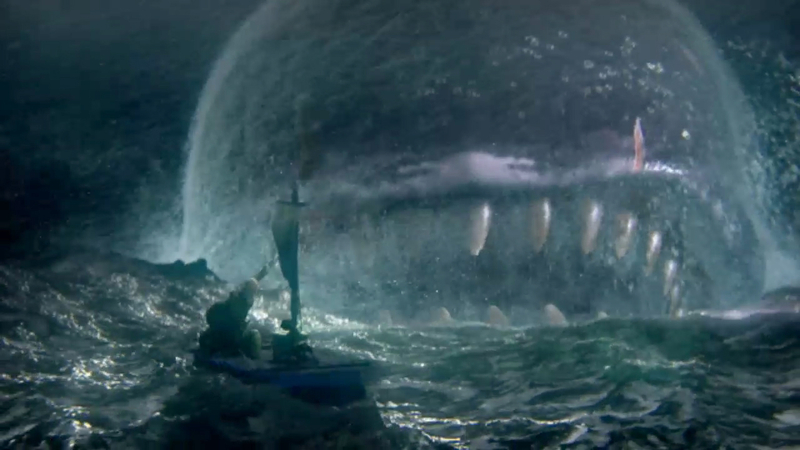 In the world of visual effects, dynamics presents its own set of unique challenges. As dynamic effects specialists, we focus our time soly on overcoming those challenges and creating outstanding fluid & dynamic effects. As a result we’ve developed a huge library and a number of advanced tools & methods to enhance existing software to acheive some amazing results. 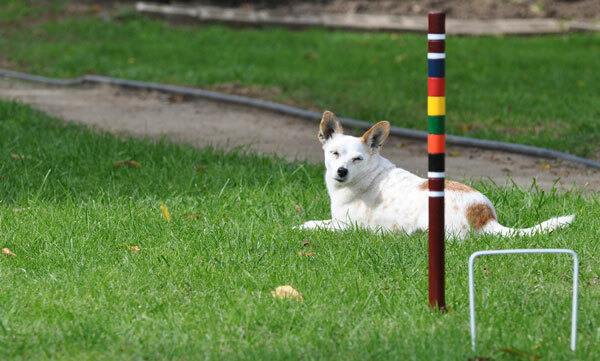 This blog will give you a little insight to how we do what we do. Enjoy!